We offer a wide range of arts and crafts classes for kids and adults at the Round Hill Arts Center with experienced, professional artists as instructors — from oil painting to jewelry making, from knitting to pottery, from stained glass to photography. Check out our all of our class pages to see what we currently have to offer. If you don't see what you are interested in, or would like to suggest a class, be sure to let us know by sending an email. From painting to jewelry, from sculpture to photography, we offer a wide variety of arts and craft classes for adults. Our available classes can vary greatly, so please check back often since new classes are constantly being offered. Check our separate listings for all of our adult pottery classes. 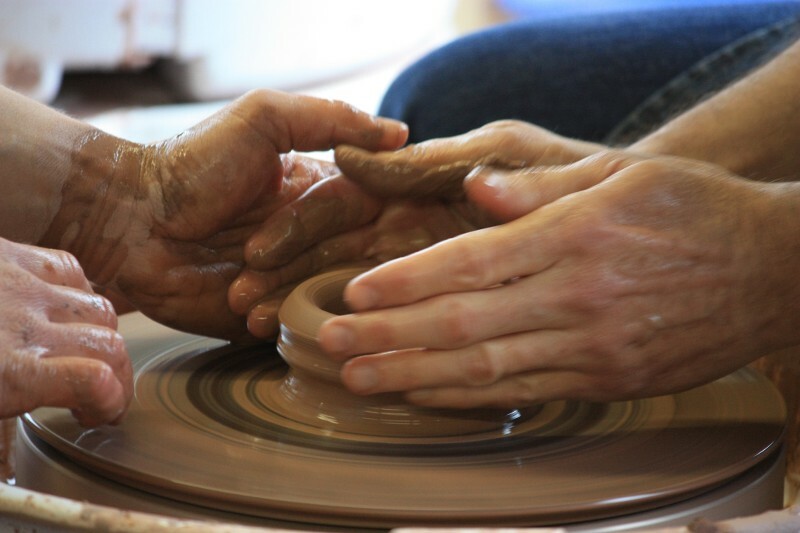 We offer a steady stream of adult pottery classes for all experience levels. Though we focus on wheel thrown ceramics, we do offer the occasional class on hand-building. Our pottery classes are mostly offered on a continuing basis in 8-class sessions, and they are popular. They fill up quickly, so make certain to check back often. 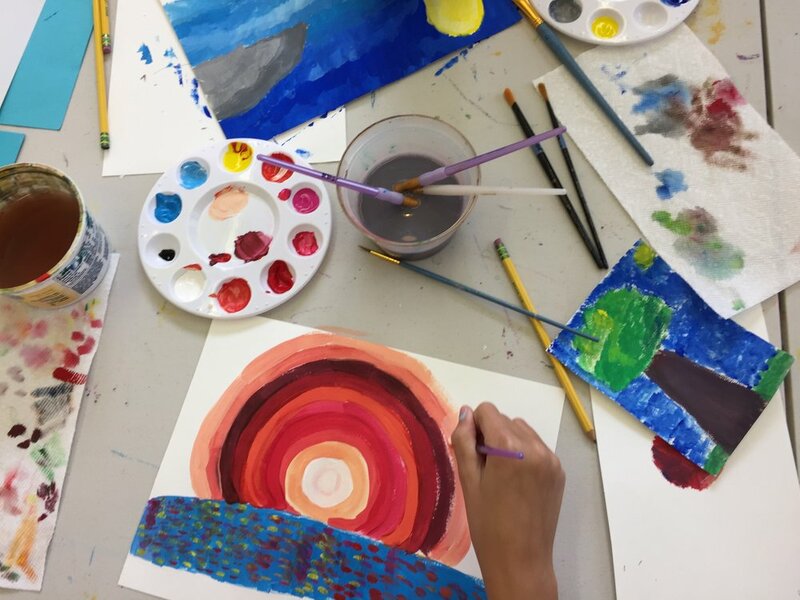 From homeschool classes to after school and weekend classes, we offer a steady schedule of art classes for kids and teens, usually in 4-class sessions. We also offer special one-time workshops throughout the year. We are proud to partner with Tiny Toes Dance, LLC to offer dance lessons at the Round Hill Arts Center. Sessions run quarterly, and for your convenience and flexibility, you may register for all three months in a quarter, or you may register for individual months. Every summer we offer a wide range of camps for kids and teens, and we have a little something for everyone - from drawing and dance to magic and clay. Registration for our camps usually opens March 1st. What's more fun than creating with family. Often centered around seasonal or holiday themes, these workshops offer a time for families to come together, have some fun, and create awesome arts and crafts. Children under 18 must be accompanied by at least one registered adult for these workshops. Cancellation Policy: Before registering for classes, please be aware of our cancellation policy! We are always looking for enthusiastic artists and art instructors to teach at the Round Hill Arts Center, particularly general art classes such as drawing and painting, and craft classes such as jewelry and glasswork. If you have an idea for a class, workshop, or event, please fill out a Class Proposal Form and an Instructor Agreement, and return both to info@roundhillartscenter.org.